Newsletter 1711 – Takebishi at SPS IPC Drives Nuremberg – Takebishi Europe B.V.
During SPS IPC Drives, being held in Nuremberg November 28-30, we will be promoting Takebishi’s own OPC DeviceGateway, the latest development from Takebishi Corporation in Japan. 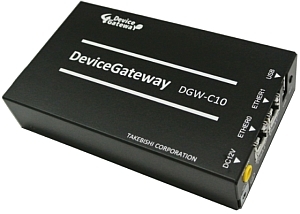 The Device Gateway is an OPC UA server for multiple vendor devices and vertical markets. It is used to gather production information and performs the gateway to IoT services. 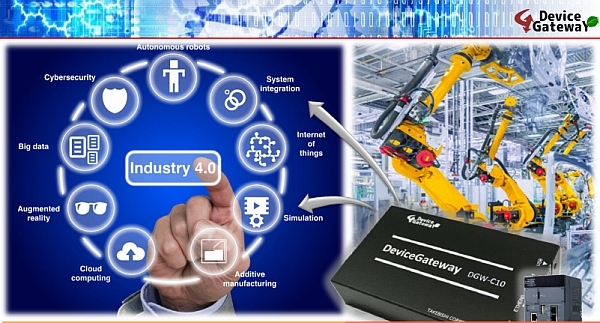 Takebishi DeviceGateway enables you to build an IoT system in a very short amount of time. Communicate with industrial equipment, healthcare device, home, office and building. DeviceGateway also has position detection functionalities (specific optional device is needed). Implemented servers of OPC UA and ECHONET Lite, and clients of MQTT, HTTP(S), SQL, FTP and AWS Kinesis, and HULFT IoT agent. Amazon Web Services, Microsoft Azure, ANYSENCE, IBM Bluemix and more. Takebishi DeviceGateway has been tested with many different cloud services. Configure event settings that execute actions when trigger is set. All settings can be accessed via a web browser.